Immigration officials stopped them near McAllen, Texas. After only a few hours together in custody, immigration officials took the boy without warning to a separate area and placed him in a cage. Moises was handcuffed and taken away, too. They never had a chance to say goodbye. 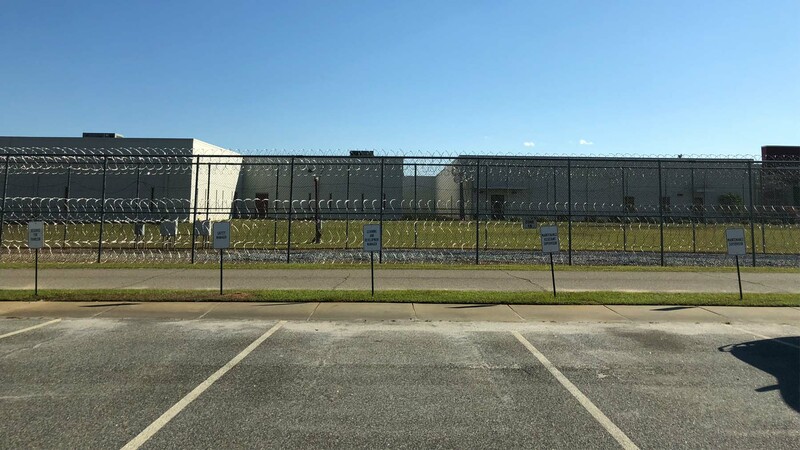 I met Moises this week on the other side of a glass partition, in a small meeting room at Stewart Detention Center in the tiny town of Lumpkin, Georgia, some 1,000 miles from the U.S.-Mexico border. It’s one of the remote places where we’re representing those who have no other champions. Across the partition, Moises sobbed for a full 15 minutes. Witnessing his suffering was one of the most difficult moments of my legal career. Clutching a Bible, he broke down as he described how his son was heartlessly pulled away from him. He’s been unable to reunite with – or even see – his son. He was told only that Carlos was taken to a shelter in Texas. He desperately wanted to know how his son was doing, but he could only imagine the worst. Stewart Detention Center is in Lumpkin, Georgia. Moises isn’t the only father at Stewart whose child has been taken. The calls started coming in to our office about a week ago. Children as young as 3 were being taken away, their parents told nothing about how – or if – they could ever see their children again. Among them are parents who, fleeing violence and persecution in their home countries, have presented themselves at ports of entry with their children, seeking asylum. As I spoke with Moises, I overheard the guards in the hallway discussing President Trump’s executive order, which was supposed to end family separations at the border. It was a surreal moment. We were living the news in real time. Here’s the problem (one of many) with Trump’s executive order: It does nothing to help Moises and the other parents who have been separated from their children and scattered across the country get their kids back. Moises has pled guilty to the misdemeanor crime of illegal entry and has given up on his dream of a better life for his child. But he wants his son to return to Honduras with him, and the government has no system in place to make this happen. Stories have emerged of desperate parents who have been sent back to Central America, while their children remained in government custody. Some of those parents have waited for months to get their children back. Some may never see them again. When state child welfare authorities remove a child from a parent’s custody, the state must prove the parent is unfit. Due processes abuses are common. We once had to wage a yearlong fight to reunite a child taken from her immigrant mother because she was poor and couldn’t speak English. But, at least in that case, we had a court process that we could use. The Trump administration’s cruel border separation policy is denying the parents of more than 2,300 children who are in federal government custody even minimal due process rights to regain custody of their children. The Trump administration’s family border separations are barbarous and reckless, and will cause irreparable harm to children and their families. They are part of a disturbing pattern of malice toward immigrant families and communities that is playing out across the country. What’s more, as the border separations dominated international news headlines in recent days, ICE quietly carried out another mass workplace raid and detained 146 immigrants, this time at a meat supplier in Ohio. Mass ICE raids like this one and another in April at a meatpacking plant in Bean Station, Tennessee – highlighting the government’s increasingly draconian enforcement tactics – tear families and communities apart, and leave devastated children in their wake, without the comfort and love of their parents. 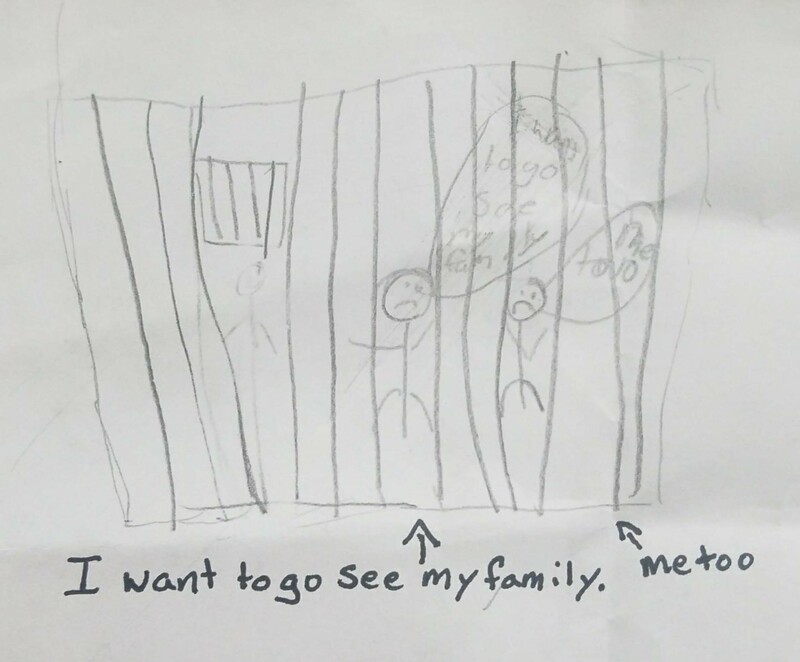 A drawing by a U.S. citizen child whose parent was picked up in a large scale militaristic workplace raid in Bean Station, Tennessee. These cold-blooded government activities ensnare longtime community residents, funneling them into detention and deportation back to places where their lives are in great danger. “Con mi hijo me vine y con mi hijo me voy (“I came with my son and I’m leaving with my son,”) was one of the last things Moises told me in Spanish at Stewart. I will never forget his words, or the look on his face, when he said this to me. We’ll do everything we can to make sure he is. The Southeast Immigrant Freedom Initiative (SIFI) is a project of the SPLC that enlists and trains volunteer lawyers to provide free legal representation to detained people facing deportation proceedings in the Southeast.